Detroit Mercy has many quirks, and some of these quirks are not well known to the people that attend the school. 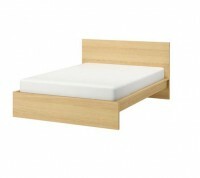 This list includes things that many people don’t know about. So take a read, and if there’s ever a University of Detroit Mercy trivia test, you may be well prepared. This information was taken from Detroit Mercy’s online archives, courtesy of associate librarian Pat Higo, who oversees the archives on the McNichols campus. Ever wonder why the engineering building is massive – or about the huge space in the middle of it? Surely, no engineering project is that big. 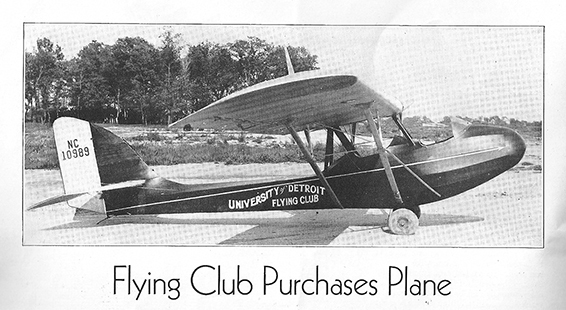 Related to this fact: The university had a flying club that was formed in the 1920s and ran into the 1960s. The club won some awards (including cash prizes) while it was running, including the 1925 Aero Digest Trophy, the Dayton Daily news trophy and the Scientific American Trophy. Months before he died, Robert Frost, the famous American poet, gave a poetry reading at the university in 1962. After the reading, he received an honorary Doctor of Humane Letters from the university. Over 9,000 attended the sold-out show at what is now known as Calihan Hall. It was one of Frost’s last public readings. 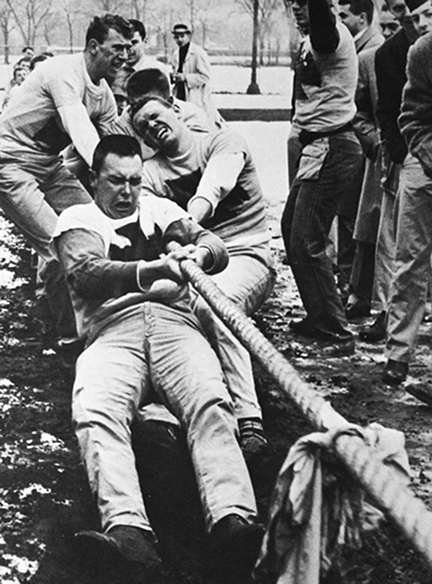 The university used to have a St. Patrick’s Day Tug of War, in which Irish and German students competed against each other every year. They would don different colored t-shirts and play songs such as “McNamara’s Band” and “Ach du Liber Augustine” before heading into the fray. Since the posting of photos online by Higo, tug-of-wars between fraternities have become a new tradition for current students. Racing different types of animals has been a popular pastime (and gambling opportunity) for ages. University students participated in not horse racing but turtle racing. According to the online archives, the turtle-racing tradition began in 1935 by the Delta Pi Kappa journalism fraternity. World War II put the pastime on pause, but it was renewed again in 1946. It also was held at the 1962 Detroit Spring Carnival, in which both turtles from different colleges competed.